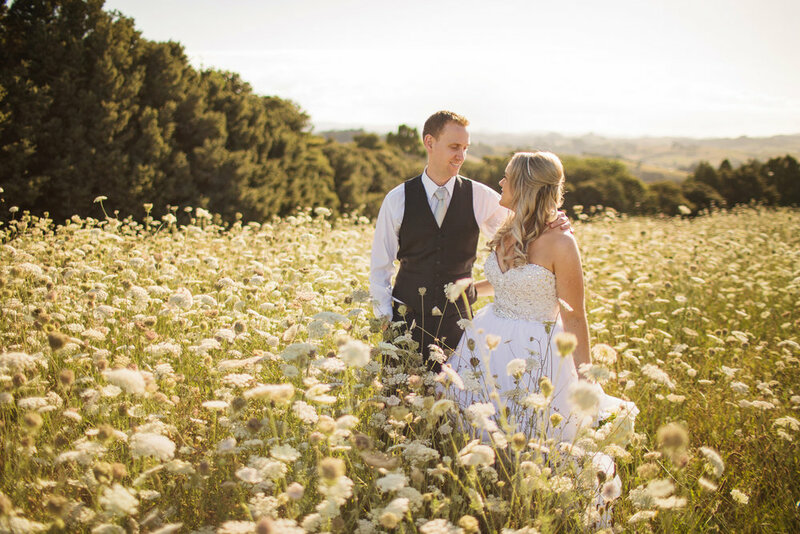 Deborah wanted a white gown with a sparkling bodice and a plain full skirt from the moment she started looking for her gown. The Maggie Sottero Esme ticked all the boxes. The style for the wedding was simple and elegant. From the beginning Deborah told us her colours were, Navy Blue, Daffodil yellow, White and Sparkles. The sparkly Eliza shoe from Benjamin Walk was the perfect complement to the sparkles in the bodice of the gown. 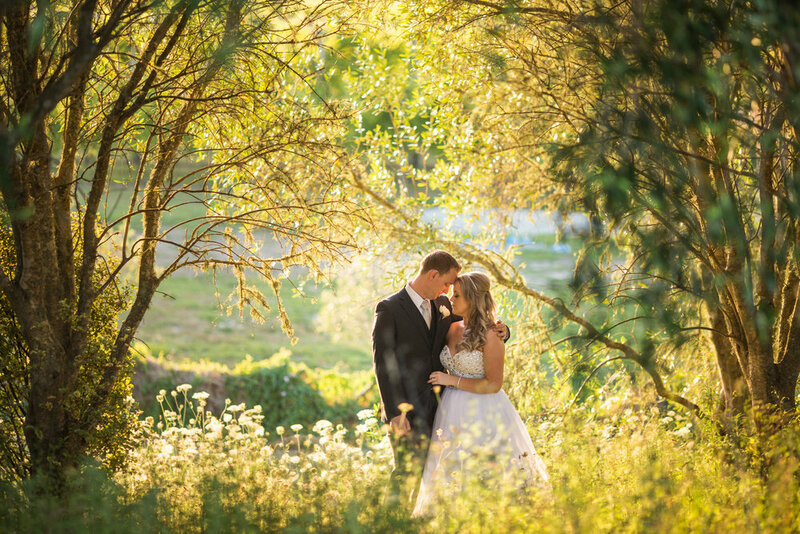 Acscension Wine Estate provide losts of gorgeous photo opportunities for this gorgeous couple.